I'm a 24/7 person," says Jed Bernstein, sitting down for coffee at Alice Tully Hall one recent day. 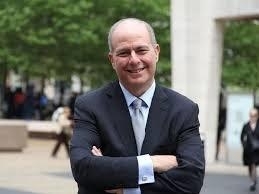 That's a good thing, since on January 27 of this year, Bernstein, 58, takes on one of the most demanding jobs in the city: president of Lincoln Center. The position requires not only daily attention to a host of intricate management issues but also frequent attendance at the many offerings of the world's largest performing arts center.There's a full schedule of after-work business events and dinners to tend to as well—courting donors is an integral part of the job, and a critical one for someone following in the footsteps of the legendary Reynold Levy, a tireless promoter, renovator, and fundraiser extraordinaire who held the job since 2002. "I feel like Babe Dahlgren," Bernstein says. "He's the guy who replaced Lou Gehrig" when the great Yankeesfirst baseman ended his 2,130-consecutive-game streak because of his debilitating disease. "But I have confidence," he adds. "You play the best you can." Bernstein can certainly draw on a wealth of experience. He's a Tony-winning independent Broadway producer (with credits for the revivals of Hair and Driving Miss Daisy, among others) who most recently helped restore and reopen the Bucks County Playhouse. For 11 years, he led and totally reinvigorated the Broadway League, and before that he developed marketing campaigns for clients like American Express at three major advertising agencies. Add to the mix an interest in the arts that began at age 6, when his parents took him to the old Metropolitan Opera house to see Aida. He first visited Lincoln Center for a Young People's Concert at Philharmonic Hall (now known as Avery Fisher Hall). "I am completely passionate, and I have a crush on talent," he says. "Whether it's a prima ballerina or the greatest knitter in the world, I love the challenge of helping support them in the creation of art." Bernstein inherits a financially sound Center whose challenges differ from those Levy faced. The campus is thoroughly modern, thanks to a $1.2 billion renovation that was completed in 2012, except for Avery Fisher Hall, which is due for change in 2017 or '18. Bernstein has to take "Linc. Inc.," as his realm is called, to the next level, drawing new, younger audiences, deploying technology to reach people around the globe, expanding arts education, and persuading its 11 historically independent constituents (like the New York Philharmonic, the New York City Ballet, and The Juilliard School) to collaborate in areas like marketing and signage. "They'll be the rallying points," he says. "That's the 'something new.'" With a degree in psychology from the University of Pennsylvania and an MBA from the Yale School of Management, Bernstein is smart enough to know that he didn't arrive with all the answers. So in September, he began what he calls "a grand listening tour," meeting with everyone from security guards to his most senior staff, from trustees to key funders to the leaders of the constituent organizations. In his typically folksy manner—"Boy, is it cool, in every way," he says of his new job at one point—he explains his approach with the adage about having two ears and one mouth and the need to use them proportionately. What he won't be doing is producing. Programming is mainly the purview of the constituents, though Bernstein has two staff members who organize Live from Lincoln Center, Midsummer Night Swing, and other Linc. Inc. festivals. "No one needs me to pick the music for Mostly Mozart or the performing groups for Lincoln Center Festival," he says, with no trace of wistfulness. "Where I can add value is reaching different audiences, suggesting different marketing ideas, and so on. I've always seen my role as someone whose job it is to bring together resources, like intellectual capital and money, to allow artists to make great art." Since young people in New York no longer go to the opera, the ballet,or the philharmonic the way he did growing up on the West Side,courtesy of his parents, Bernstein believes that Lincoln Center must provide the background he received at home, possibly with technology, to make the performances more understandable and enjoyable. He also believes that it must have more events that are akin to "appointment TV ," like Monday Night Football or Downton Abbey on PBS. At Lincoln Center, that might mean a performance by violinist Joshua Bell in the Center's atrium on a Thursday. "If you want to see him, that's where you'd have to be." And he plans to use technology to "deliver performances in new ways and send them to new places," just as Peter Gelb, general manager of the Metropolitan Opera, has done with HD simulcasts to theaters around the world. Lincoln Center under Bernstein will also be exporting its full range of management expertise, from strategic planning to construction of performing arts facilities to fundraising and audience-building, an initiative tested by Levy in Tianjin, China. Bernstein views this consulting business as "a way of expanding the Lincoln Center brand" as well as adding to the Center's revenues. But he declines to say more, citing client confidentiality. There's one big drawback to his job: "You have to get used to four meals a day," he notes, to do all that wooing of donors and, increasingly, corporate sponsors. By late November, he was well on his way to getting in fighting trim—he'd lost "30 pounds in the last three months, and I have 15 more to go." Sidebar: Basic Bernstein: A new president talks favorites, off the job. *last vacation: A year-end trip to South Africa and then a five-day visit "to lie on the beach in the Seychelles." *on his reading list: "Biographies and history." He took The Bully Pulpit: Theodore Roosevelt, William Howard Taft, and the Golden Age of Journalism by Doris Kearns Goodwin on his year-end vacation. "But I also love Stephen King, and his Doctor Sleep went along too." *favorite restaurant: Café Luxembourg. "I like everything on the menu. You can go late, and yet it's a place you can go for breakfast." *fond memory: Until September, "I hadn't been to the New York State Theater since it was redone [and renamed the David H. Koch Theater]. I almost burst into tears. When we went to the New York City Opera there, my brother and I [used to go] out opposite sides of the old,continental seating, and we would race to the water fountain in the back. It was the same, untouched water fountain."